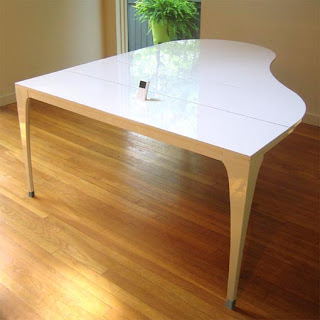 Piano Dining Table is a special furniture for those friends who loves piano music. This dining table is a usual dining table, but the attractive thing is that, shape of the table is so amazing and inspired with Piano. The color of this stylish furniture is elegant white and you can feel free to clean. 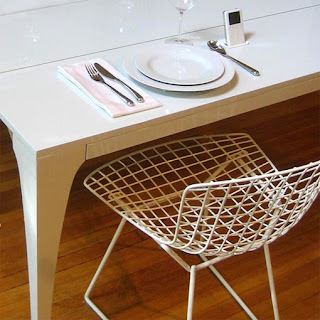 Chairs of this dining table also have amazing and creative design and color. 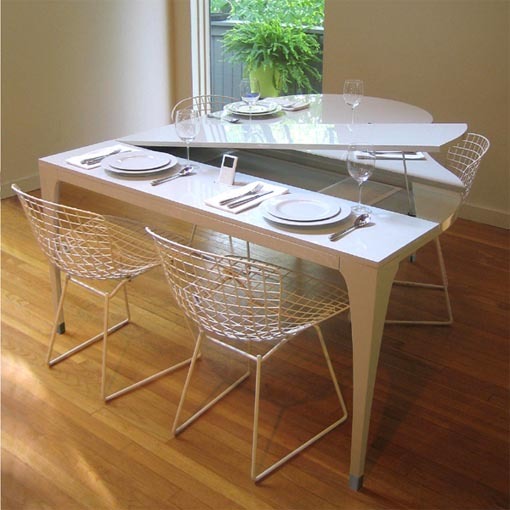 This creative furniture is design by two creative mind, Lovegrove and Repucci designed that dining table. 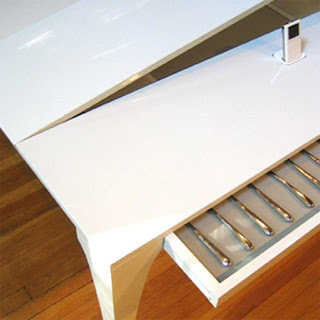 A iPod stand available on the top of the table and one elegant drawer for cutlery sets under the table. It’s a user friendly furniture, so friend feel free to buy this and share your feedback about this cool furniture. So simple but it is totally stylish. White colour is best colour for home furnitures. 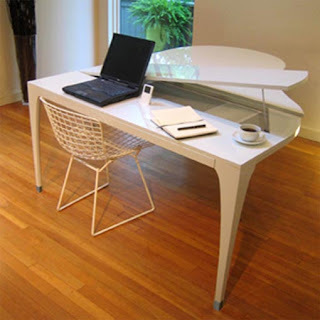 It is best example of modern furniture. This is very cool. It really accessorizes the room as long as you don't have a real piano in it as well. Where could I bought this model? I loved it.